The Easiest MLS Real Estate Search on the net! 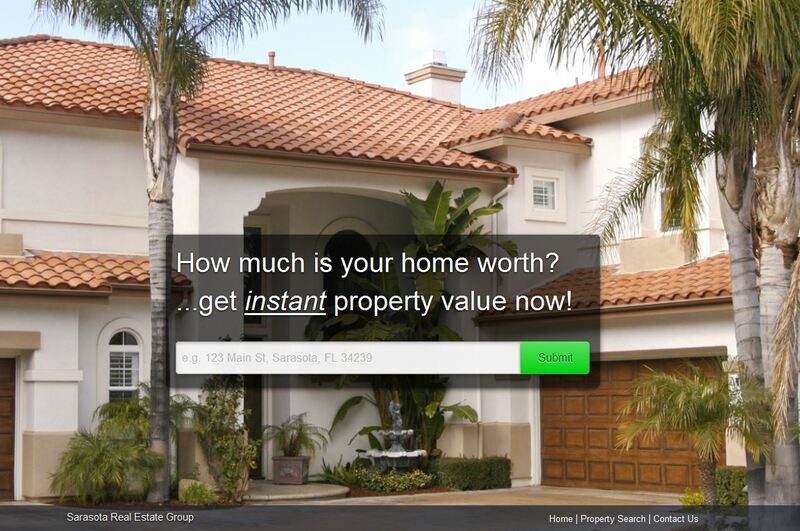 Finding real estate in Sarasota, Charlotte, Manatee, Hillsborough and Pinellas Counties was never this easy. Our easy real estate search has all the active MLS listings from all brokers updated daily including foreclosures, distress sales and short sales. Take a look at our predefined lists of homes with out any registration on your part. Our detail pages give you everything including photos, taxes, room dimensions, features and a full description of every home. If you like, set up your own search with our advanced search and we will email you the new listings, price changes and sold listings as they become available. Our simple, straight forward MLS search is easy to use for any Sarasota real estate search and the surrounding counties. Find homes for sale by location, price and amenities you want. Look by county or get more specific and search by city, areas, or even individual subdivisions. Need a home on the water, you can do it! Are you looking to park that 40' sail boat in the canal out back, then search "water extras" for sailboat water. Looking for the security of a gated community? Well, you probably guessed it, we have that too. If you are not sure exactly where you want to be, select "all counties" and get real estate listings for all the southwest Florida counties we have in one list. New and price changed listings are checked every 15 minutes and updates are delivered to your inbox including new listings, price changes and recently sold real estate. If the property is listed in the MLS, you will know about it within 24 hours. If you still aren't sure how to the most out our search tool, take a few minutes to look at this short video series on how to search the MLS using our search tool. 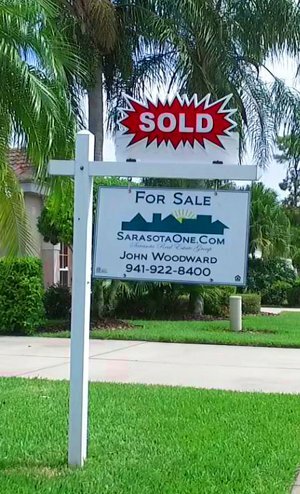 The Sarasota Real Estate and surrounding market, once dominated by foreclosures and short sales, have all but dried up from the market. Most all sales are normal meaning they are conventional sales with out any bank involvement on the seller's side. While the foreclosure and short sale property will be in the market from the foreseeable future, they are playing a less dominant role then they have in the past. Offers on distressed properties require bank approval for a sale. Expect to have a home loan approval by a local lender up front. If you are paying cash, you will need an account statement showing you have the funds to close. The banks will outright reject offers (even full price) without the correct documentation. Conventional sales are now requiring the same documentation by sellers. We have local mortgage specialists that have demonstrated their knowledge of the Florida market Based on our experiences, we strongly urge you to consult us prior to committing to a lender that may be out of state or from the internet. Many times, the stress home buyers experience comes from a lack of understanding the process and all the variable that go into buying a home in this market. We have put together a short Home Buyer's Guide full of tips we use daily. Regardless of the agent you choose to work with, we think this guide will help. If your interest is in selling, you might be pleased to know we might already have a buyer for your home. SarasotaOne has thousands of new buyers who come to us to stay on top of the real estate market. Our results average better than what the broad market in terms of list price to sales price. This just means MORE money in your pocket and we are happy to do it for you. It is not just about finding a buyer, it is about trying to find several buyers which helps with a better price and terms. Daily property updates straight from the MLS keeps them coming back. Through the use of technology, we make sure that the buyers who are looking for the home you have to sell is sent to them. We also have one of the largest followings of folks who have expressed and interested in the areas we serve through our social media channels including the Sarasota Real Estate Group Facebook page. We not only get your home in front of more buyers with a simple MLS printout, we give them a complete video walk-though of your home. It is no wonder that we are able to obtain hundreds of social interactions, like, shares and video views in less than a month. We think you will be happy with our results. Our system has every MLS listing from ALL brokers. You are never under any obligation to buy or sell and you can use our free service as long as you like. Our hope is that when you are ready to enter the real estate market, you will like our site enough to know we go the extra mile and choose our team of seasoned professionals for your purchase.